There are number of organizations are busy in calculating the different facts and figures relating to human population around the globe. Some are calculating the birth rates while on the other hand some are trying to reveal the death statistics. 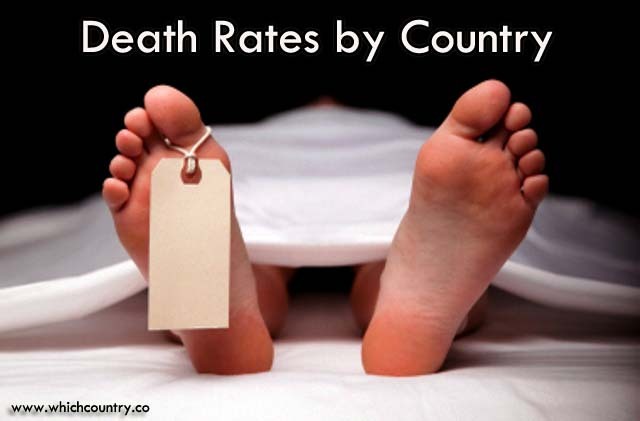 we have made an effort in this article to reveal countries with lowest Death rates around the world. Various statistics analysis experts have prepared a rough estimate of mortality rate for all the countries around the globe. This estimate revealed about .883% that is indicating about 1 out of 113 people lost their lives during the previous year. Following is an estimate based on the above given rate which indicated death of people living in different parts of the world. 3.9 billion Deaths per average lifetime that is estimated to be 70 years. Today, with every passing day, the mortality rates are increasing throughout the globe so it has become one of the major problems faced around the world. In accordance to a recent report by CIA THE WORLD FACT BOOK, South Africa has the highest mortality rate than all other nations around the globe. Every year, About 17.49 out of 1000 people lost their life in South Africa. The major cause of death in South Africa is Aids. Similarly according to 2014 report Qatar has the lowest deaths rate in the world. Highest Life Expectancies is related to an average death rate during a single year is said to be death of a person per 1000 persons. Central Intelligence agency (CIA) prepared a list in which it mentioned ranking by the mortality rate of different countries and this estimate was prepared in 2014. Q:Which country has the Lowest Death Rate ? In accordance to 2014 estimates by CIA WORLD FACT BOOK , Qatar has the lowest mortality rates than all other nations. It has one of the best and widely recognized health care systems around the globe .If compared to many developed nations, Qatar has a great reputed health sector providing the highest quality of medical facilities to the patients. And this is one of the major causes for its least number of annual deaths. Qatar is a pure Islamic nation officially recognized as the State of Qatar which is located in the western Asia. Doha is the capital and the largest city. Arabic is used as the official language. Its population is 2,155,446 (2014 estimates). Qatar is covering the total area of 11,571 square kilometers.